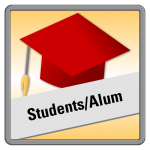 We take pride in helping ISU engineering students and alumni plan, prepare for, and launch successful careers. Additionally, we enjoy helping employers connect with ISU’s great engineering talent. We are dedicated to equal employment opportunity and follow the guidelines established by the National Association of Colleges and Employers. Please use the menu at the top and the quick links to explore the information we have prepared for you.